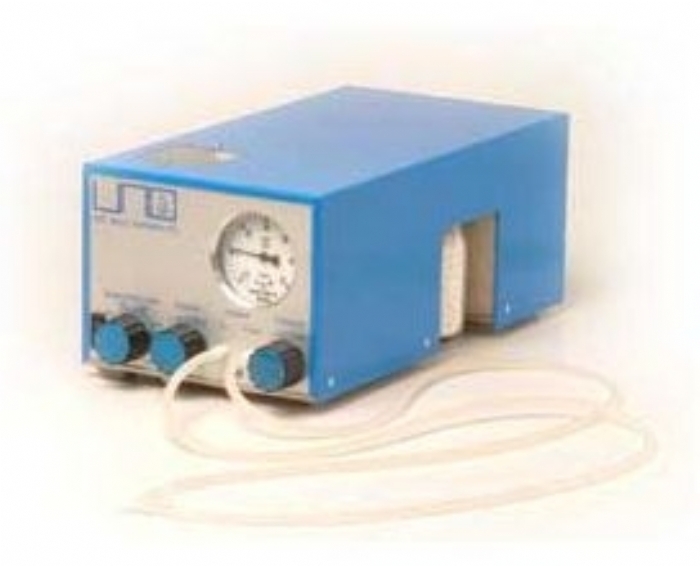 Ventilator/Respirator specially built for respiration of mice, rats and guinea pigs and general inhalation anaesthesia with an endotracheal canula. The standard UNO ventilator is equipped with a connection for Anaesthetic gas (mixture), controls for Frequency, volume and minimum/maximum pressure, a "circle" system and the possibility for P.E.E.P. settings (f.i. with open thorax surgery). It is also possible to place the animal under a microscope or in a Stereotactic or water bath because of the +/- 80cm long flexible hoses and endotracheal-canula connection. The unit needs a gas supply (Air, O2 or mixture).